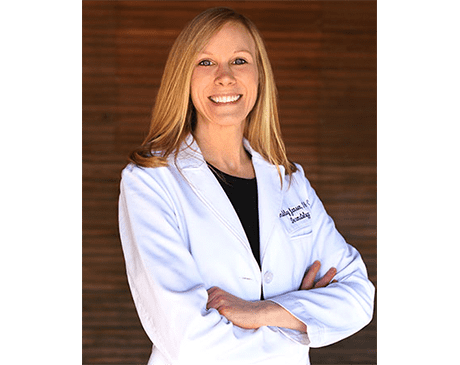 With a passion for the field of dermatology and specialized training in Mohs surgery, Ashley Jansen, PA-C is an integral part of the team at Mohs Surgery & Dermatology Center, with locations in Elgin, Huntley, and Crystal Lake, Illinois. After earning her Bachelor of Science degree from the University of Wisconsin–Madison, Ashley completed her physician assistant certification at the Philadelphia College of Osteopathic Medicine in 2008. Ashley is a board-certified physician’s assistant with specialized training and interest in procedural dermatology. She is an active member of several professional organizations, including the American Academy of Physician Assistants, the Society of Dermatology Physician Assistants, and the Illinois Society of Dermatology Physician Assistants. With more than 10 years of dermatology experience, Ashley focuses on creating individualized treatment plans for men, women, and children of all ages. She is committed to being an advocate for her patients and strives to emphasize practicality and long-term care. When she is not caring for patients, Ashley enjoys spending time with her family, traveling, and doing volunteer work.